(−) Hmm. Uh. Those, surrounded by furries. Hmm. Hmmmm. I absolutely loved these grapes - for the flavour, not so much for the proprietary stuff. 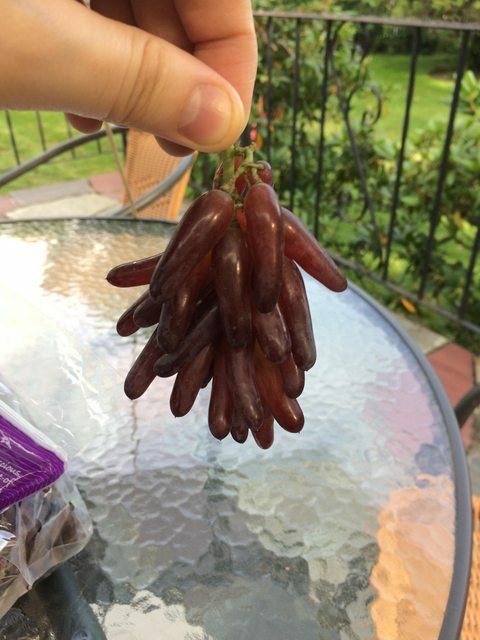 But they were so sweet, I was surprised they went with the name "witch's fingers"! They also have a grape that tastes like cotton candy. That's dangerously addictive.